Muzium Wau Kelantan is a small kite museum showing off the types of elaborate kites which are popular in Kelantan and elsewhere in Malaysia. The museum is located close to Pantai Sri Tujuh and it is worth combining a visit to the museum with a trip to this popular beach. If you are lucky you may see a demonstration by a skilled craftsman of how kites are made. Also on display are kites from other countries such as Japan, Thailand and Cambodia. 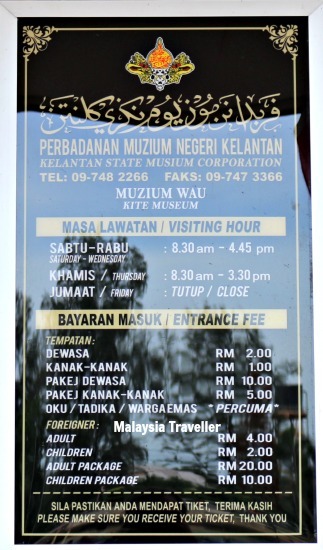 Muzium Wau is not the only kite museum in Malaysia. Muzium Layang-Layang in Pasir Gudang, Johor has another collection of kites as well as staging kite competitions on the beach at particular times of the year. The People’s Museum in Melaka also incorporates a kite museum while a number of other museums, such as the Malay World Ethnology Museum in Kuala Lumpur, also have sections dedicated to the hobby and craft of kite making and flying. 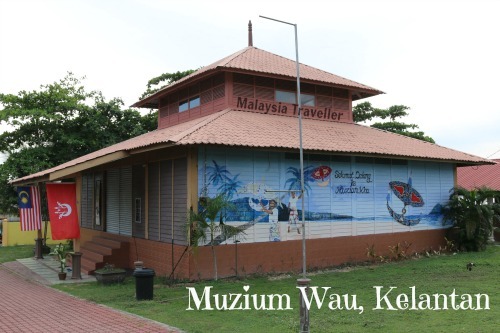 The attraction of Muzium Wau is its location alongside a picturesque fishing village and adjacent to one of the best beaches in Kelantan. Packages are available for groups. Follow the signs to Pantai Sri Tujuh and you cannot avoid passing the museum on the way.